We are absolutely delighted to have obtained a residence visa for Mandeep and Mandeep. 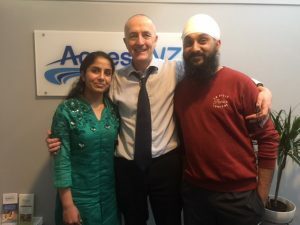 Having spent some 8 years here in New Zealand studying and working, they are a great example of what successful integration into the Kiwi lifestyle looks like. The couple came to us early last year after a number of residence applications had been refused. They were tantalisingly close to the required points but, as noted previously, Orchard Managers don’t have an easy life and pathway with Immigration New Zealand. Their job offer/position is often denied a skilled employment categorisation for not substantially fulfilling all tasks indicated in ANZSCO under Fruit and/or Nuts Grower. An employer fully supporting the application and a few other essential elements will, however, lead to residence. 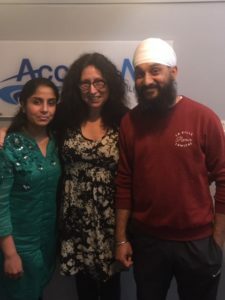 In the case of the two Mandeep’s, a well-prepared application and making the employer understand what it means to support a residence application have finally led to their dream coming true. On top of it, they got notified of the decision exactly on Mandeep’s birthday! We wish you both a very happy life in your new country of residence!